The Old and New Testaments are rife with language of journeys, of walking with God. We admire the Biblical heroes who did so—Adam and Eve before the fall, the Emmaus road disciples, Enoch, Peter. But things fall apart. Roads diverge. Authentic Christian life presents spiritual crises and we struggle to find a hero walking with God at a crossroads. 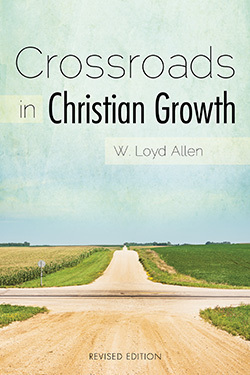 With wisdom and sincerity, W. Loyd Allen presents Jesus as our example and these crises as stages in the journey of growth we each take toward maturity in Christ. 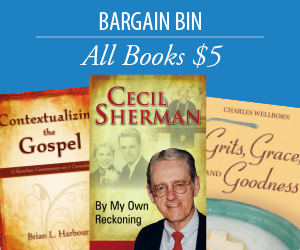 Let Crossroads in Christian Growth serve as your guidebook for the spiritual struggle ahead or the crisis you stand in the midst of today. Dr. W. Loyd Allen holds the Sylvan Hills Chair of Baptist Heritage and is Professor of Church History and Spiritual Formation at McAfee. He received his B.S. (1974) with a double-major in psychology and sociology from the University of Montevallo in Alabama. His training for Christian ministry took place at the Southern Baptist Theological Seminary in Louisville, Kentucky, where he was awarded the M.Div. (1978) and Ph.D. (1984). Dr. Allen's personal life revolves around his family and church. His wife, Libby, works in the admissions office at McAfee, and he has one daughter, Clare.